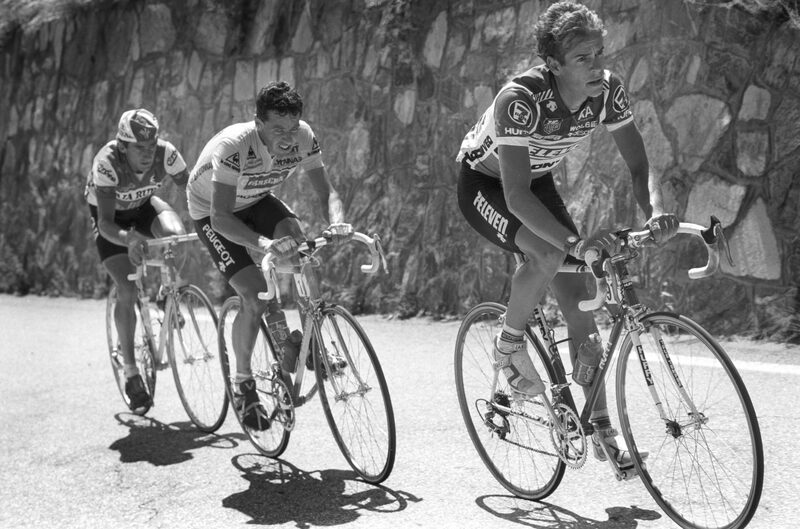 In 1983, the Vuelta a España was in trouble. Foreign participation had dwindled, while the Arroyo doping scandal cast a long shadow. In the earnest hope of rekindling the race’s spirit, organisers put their faith in nature. A summit finish was scheduled by two glacial lakes, set at 1,135m altitude at the heart of the Picos de Europa, the wild green mountains of northern Spain. They were known as the Lakes of Enol, which became, inevitably, the “Lakes of Hinault”, after the pre-race favourite who had reportedly commanded a fee of seven million pesetas to take part. The Vuelta would visit these lakes twenty times more in the next four decades, with climbing deities like Pedro Delgado and Lucho Herrera raising their arms above the twin spires of the Basílica de Santa María la Real and the village symbolic in the Christian reconquest of Spain. But never was there a more vivid, quasi-religious experience on this asphalt than that delivered by Marino Lejarreta, the reigning champion now riding for Italian squad Alfa Lum, in stage 13 of the race on Monday, May 2, 1983. 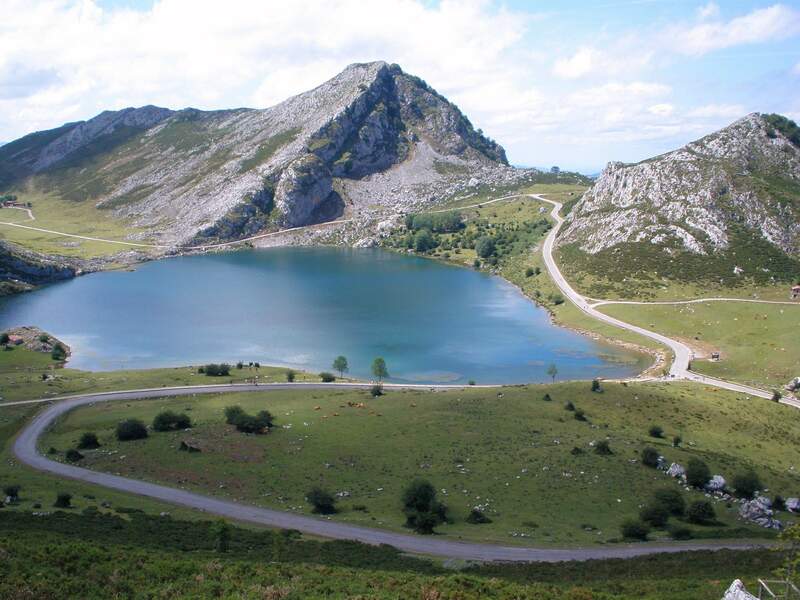 Los Lagos de Covadonga, as the climb is better known, is a 13km ascent whose steepest section arrives just before halfway: an 800 metre stretch of 14 per cent gradient known as La Huesera. On this day, the peloton had started in a freezing Aguilar de Campoo, the biscuit factory town that was home to race leader Alberto Fernández. It was so cold there, in fact, that several riders had considered abandoning, Lejarreta among them. 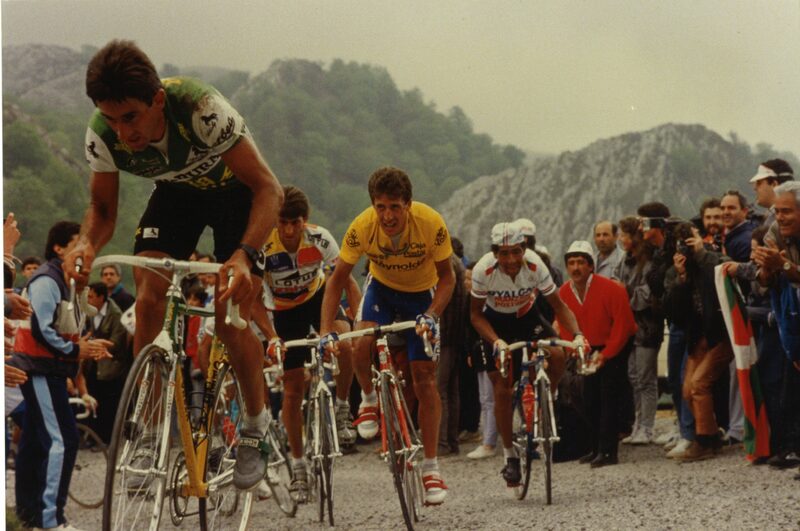 Lejarreta’s solo win, stage 13 of the Vuelta of 1983. Clip of the last kilometeres of stage 18 of the Vuelta of 1983. He rode, as he always did, on impulse, going when the moment took him, slowing – at La Huesera – when it felt the right thing to do. He sped past Rudy Pevenage halfway, and reeled in Carlos Machín with just two kilometres remaining. In Berriz, his home town beneath Monte Oiz, as across Spain, TV viewers sat transfixed. Clad boldly in blue, Lejarreta won the stage at a shining Lake Ercina, taking one minute and eleven seconds on second-placed Hinault; “Tougher than Alpe d’Huez,” the Frenchman mumbled. In fourteenth place came Ismael Lejarreta, now working for his little brother at Alfa Lum, and recalling the days when the boys would ride for hours through the foothills of Oiz near their house. But happy endings don’t work in this story and Marino, of course, did not win the Vuelta that year. His great victory had already come and gone, without celebration. 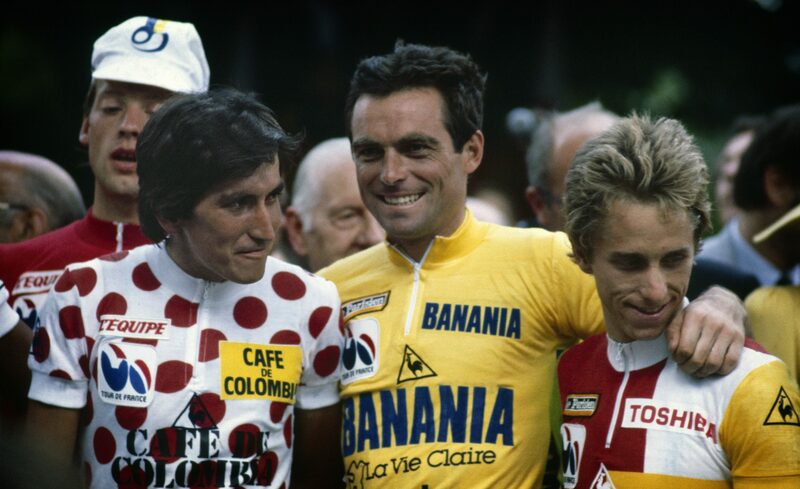 Even after Los Lagos, the yellow jersey stayed with Fernández, and it would pass between four toiling rivals before Hinault grimly recovered to win perhaps the toughest of his ten grand tours – exacerbating a knee injury that would, for some, mark the beginning of his end. Late in 1983, Lejarreta moved to Italy, seduced by a cycling culture he felt more effusive than his homeland’s, by a cycling infrastructure more rewarding than a culturally suppressed, conflict-torn economy could provide. But his identity, his poetic expression of a dawning Basque freedom, was unmoveable. As a committed Italophile, he might appreciate the comparison to Gilles Villeneuve, the daredevil racing driver for whom winning was less important than artistry, authenticity; the man who could have won more by taking his foot off the gas pedal, but never did, for doing so would have been to sell out, to betray the scarlet tifosi who came to cheer his name. The French-Canadian had died in a racing accident on May 8, 1982; the day before Marino’s Vuelta ended in Madrid. Lejarreta to the Basques was as Villeneuve to Ferrari; the embodiment of dreams, of barely earth-bound fantasies. Against such raw and violent purity, what was winning?